Throw pillows are a great way to add personality to a space. You can easily change them out for the season or your mood. However, mixing fabrics is a skill. It takes practice and sometimes some trial and error. Join me in a little demonstration. These are the pillows I chose when we first bought our beloved basement couch. It came with six pillows, and I selected three different fabrics. I wanted colour, pattern and something not too serious. However, it turned out they didn’t all play together as nicely as I wanted. On their own, the patterned pillows each work with the turquoise velvet, but they do not work with each other, despite sharing several colours. However, let’s look at another equation. Remember back when I made our big round ottoman? How I searched for the perfect fabric, and the one that ended up working best with the striped pillows was the bird fabric that I already had in my stash? I still love this fabric, and since I ended up buying more to supplement my stash, I still had a good amount of yardage. More than enough to make two pillows. These ended up being the most professional pillows I’ve ever made. They have zipper closures, piping and even extra liners to help contain the feathers, which always seem to work their way out through the covers. I love them so much. But what about the poor rejected blue-green geometric? Here’s another equation for you. The feather is another fabric that I’ve had in my stash for years. 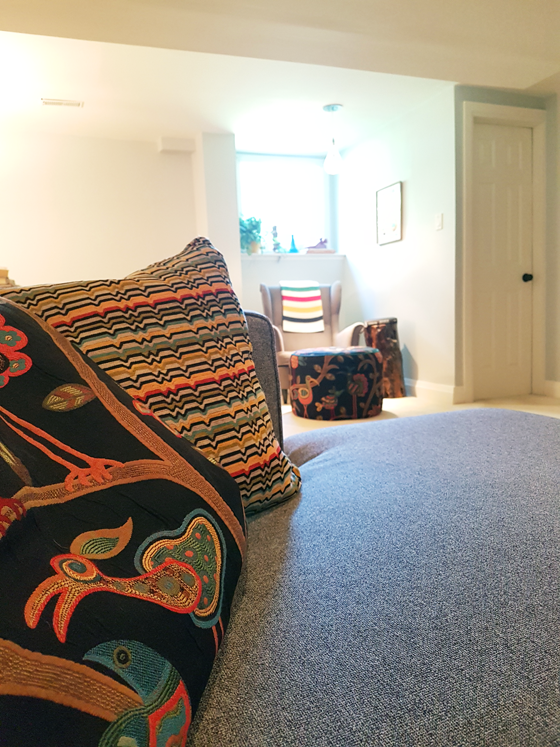 I had always planned to use it to make cushions for the couch upstairs, and I finally got around to it. The blue and green bring a bit of summer into the living room. 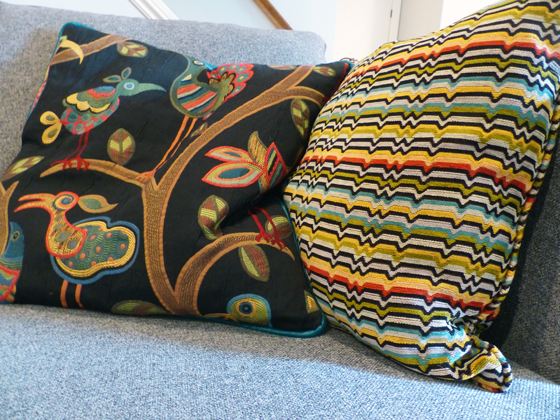 I love the serendipity of two stash fabrics being perfect mix for pillows that we already had. Along the way, I’ve learned a few lessons about mixing fabrics. Let’s start with defining our fabrics. For the purpose of this demonstration, I’m going to use the labels “solid” (pretty self-explanatory), “geometric” (could be a stripe or another more linear pattern–the colourful stripe and the blue-green links both fall into this category for me) and “floral” (self-explanatory, but I’ll extend this to include fabrics like my birds or the feather). Don’t mix like patterns. By this I mean geometric with geometric or floral with floral. Unless the scale is dramatically different similar patterns will compete with each other like my pillows did. This exercise has taught me that the best bet is to mix different types of fabrics, like a geometric with a floral. Pick fabrics that share similar colours. This is probably the easiest way to mix. Colours don’t have to match exactly (the turquoise piping on the bird pillow isn’t the same as the turquoise velvet, but they still play well together). When mixing patterns, start with your most dominant pattern first. This is probably my biggest takeaway. My mistake in the family room was using the turquoise velvet as the base. It’s easy to match cushions to a solid. It’s harder to match the bossy stripe. But once I put that at the centre of the equation, I was able to make the mix work. 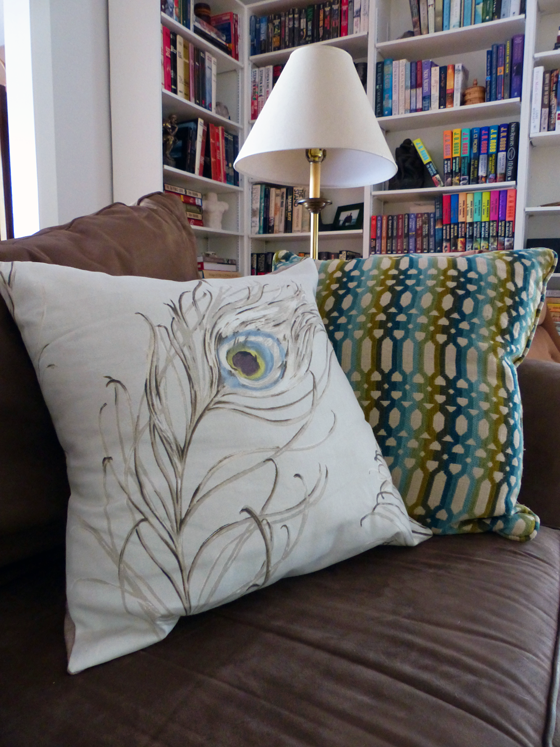 Pillows are some of the easiest items to sew–and there are also plenty of options to buy. 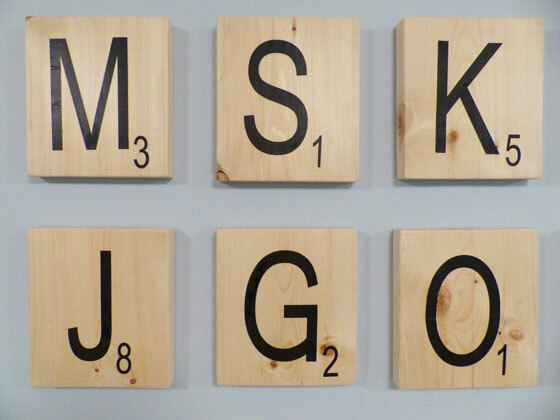 They can add a finishing touch to a room or completely change the feel of a space. 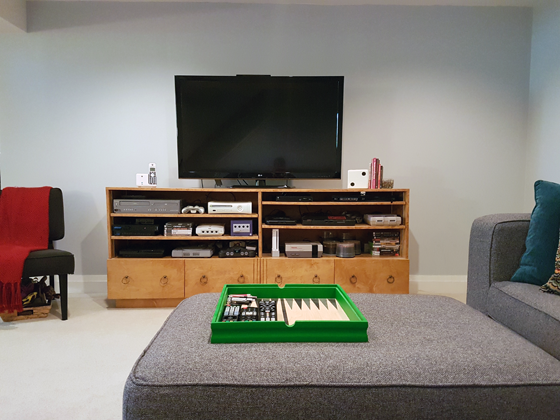 I like being able to freshen up the living room for the summer season, and I’m also very glad to have found the right mix for the family room. Do you enjoy mixing and matching pillows? Do you sew your own or purchase? Do you change your decor with the season? What are your tips for finding a mix that works? 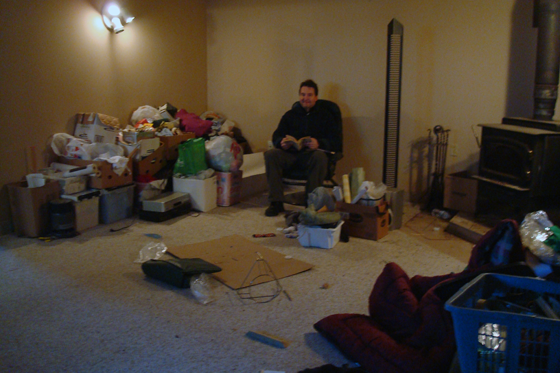 Way back when we started looking for our perfect farm, one of the things we wanted was a useable basement. 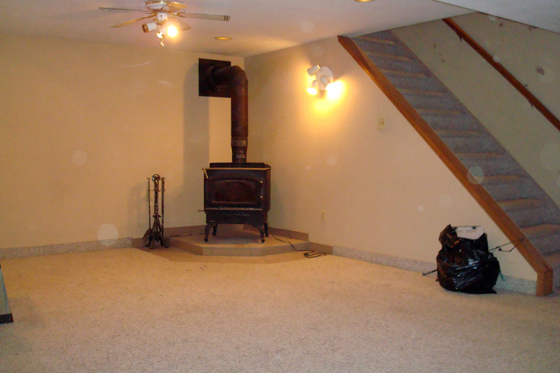 Many farms come with old farmhouses which don’t typically come with great basements. 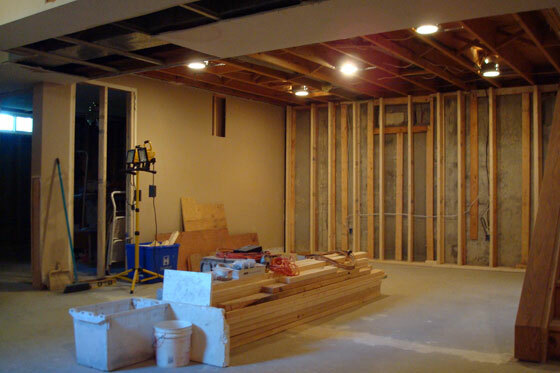 Usually, there are rubble and stone foundations, shallow ceiling height, dirt floors and moisture. One of the things that made this farm a winner was that it had a very, very useable basement. 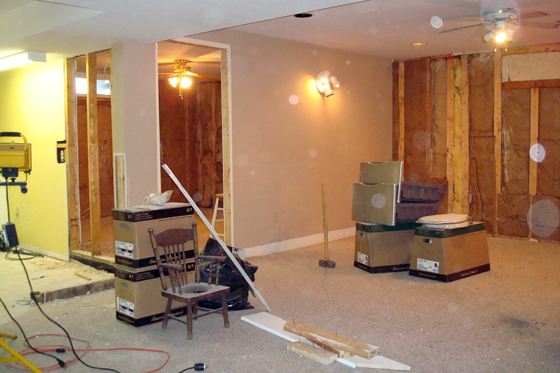 You saw the transformation on Friday of how we renovated the TV area. Today I’m delving into the details of how we decorated it. 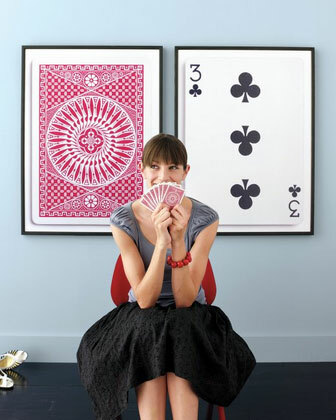 It all started with these posters. These are Matt’s two favourite Monopoly properties. When I saw them on Lindsay’s blog, I knew I had to make them for him. 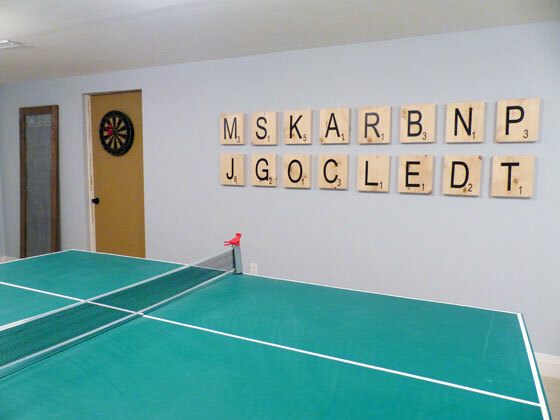 Theme is a bad word when it comes to decor, but we have a loose fun and games theme happening here in the basement. 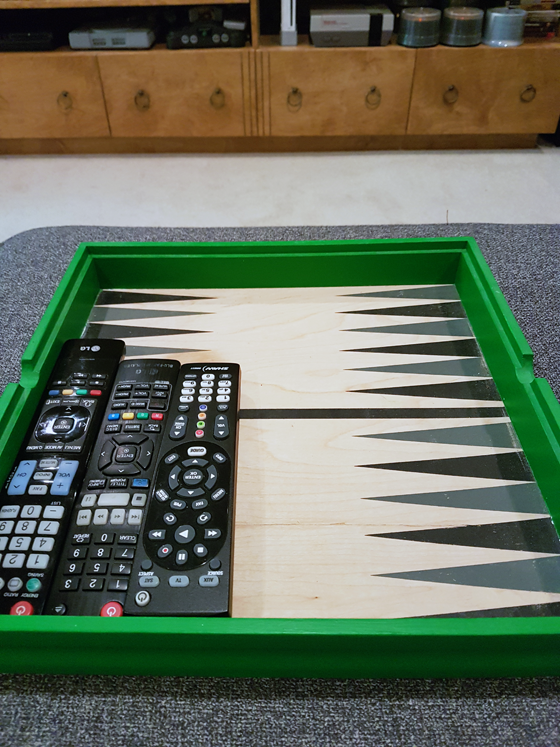 On the TV stand I made a die to serve as a bookend and on the ottoman we have a backgammon board tray. I like these little pops of fun. The other pop we have in the basement is colour. 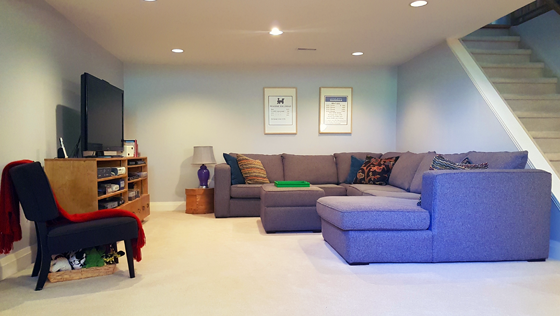 The base is neutral–the walls, carpet, couch, chair. 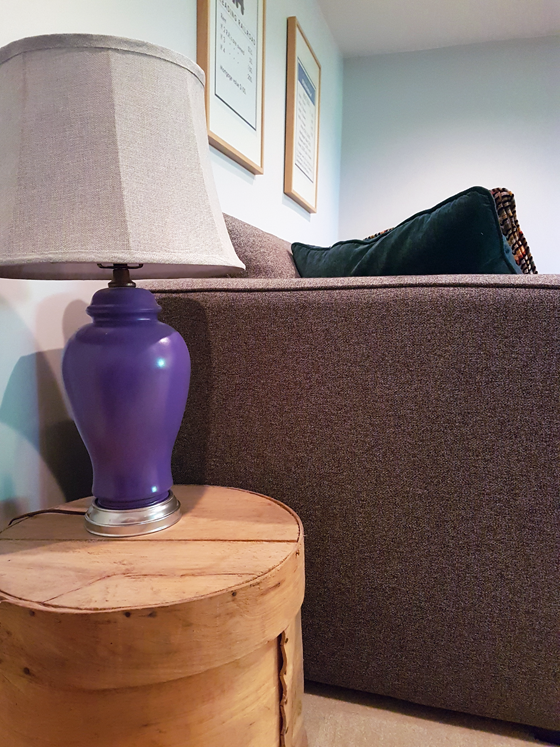 The red throw, the green tray, the purple lamp and, of course, our pretty pillows all add personality. The lamp sits on top of a wood cheese drum that came from Matt’s grandpa’s house. 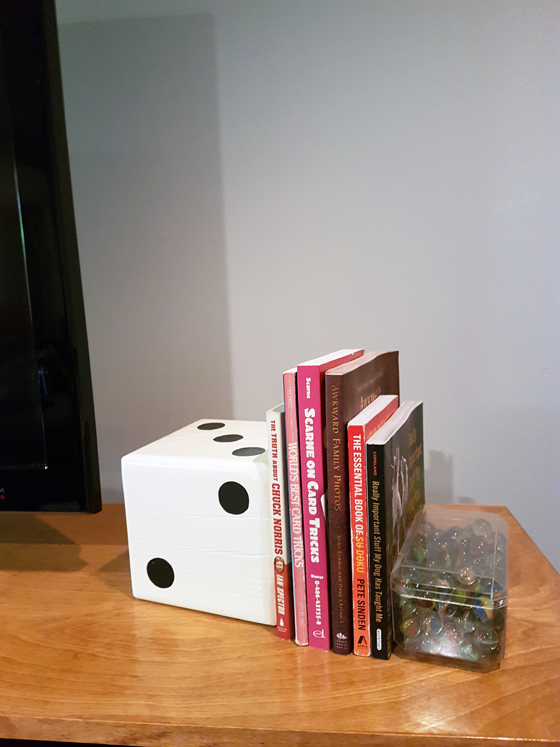 It’s too low to be used as a proper end table, but it’s the perfect height to give a bit of a glow when we’re sitting downstairs. And it’s the little touch of rustic that I’ve decided every room at the farm needs. I love these pillows. 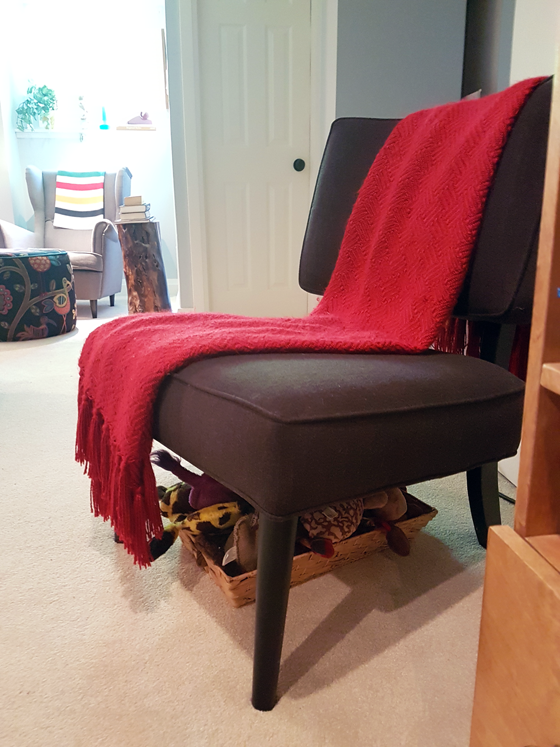 The stripe is bossy, a little bit retro and a perfect match to the bird fabric that I used on our DIY ottoman (Crazy Ol Bird Midnight by Swavelle/Mill Creek). I love this bird fabric so much that I bought a lot of it, and I had plenty to make two pillows for the couch. (The stripe and the turquoise velvet pillows came with the couch). 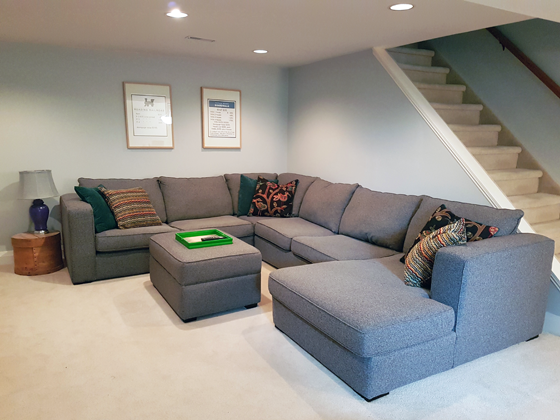 The sectional is so comfortable. I love the chaise, I love that we have room for a huge number of people, I love that everyone can sit with their feet up. The ottoman also serves another purpose. The top hinges open to give us lots of storage. The other half of the TV area holds–what else–the TV. My Dad and I made the TV cabinet five years ago when we were first putting the basement together. And it’s awesome. The goal with the TV cabinet was to hold all of Matt’s video game systems. He’s never been able to have them all hooked up at once, but here he finally does. 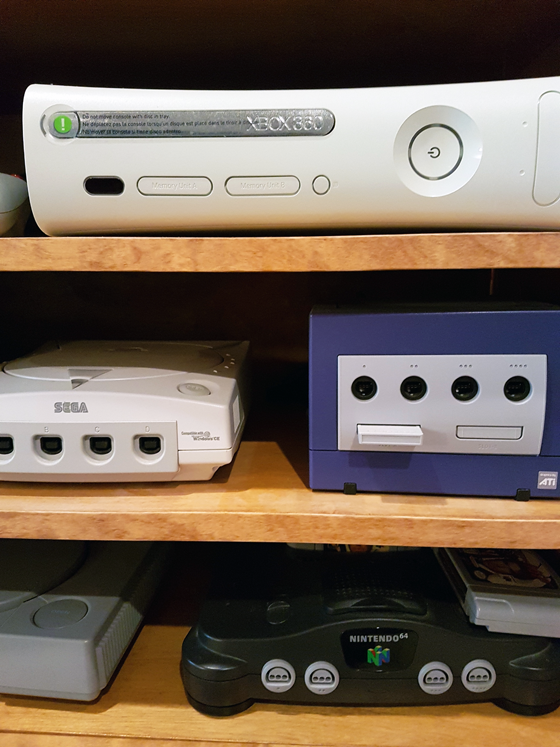 There’s everything from old Nintendo and Sega to new Playstation and XBOX. The drawers hold games, controllers, cables and other accessories. Beside the TV stand is the Austin chair that I won from Blogpodium. 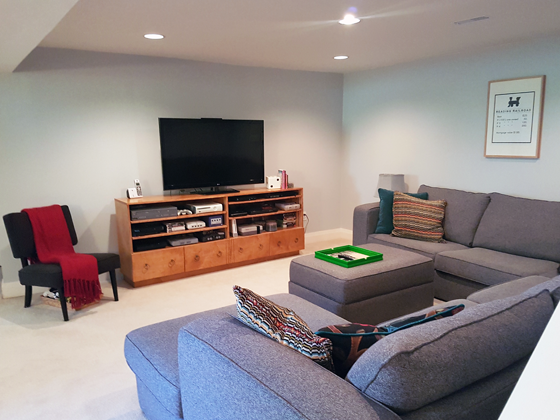 The boxy shape and grey fabric work perfectly with the rest of the TV area. 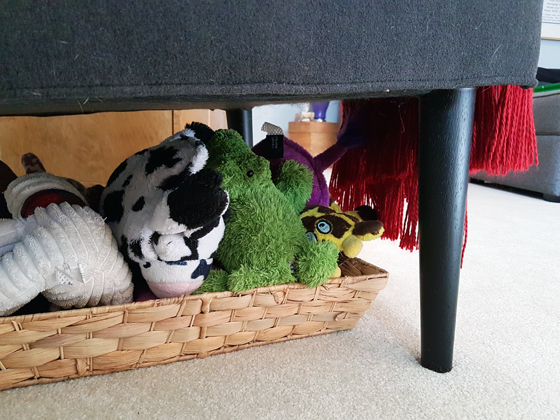 Baxter’s toys live in a basket under Austin–the basement is fun for everyone. Our big renovation gave us a space. All of the little decorative details make the space. It’s personal and fun and perfect for us. 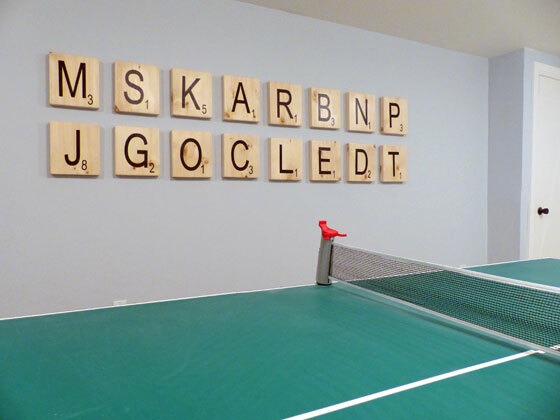 What’s your must-have for a fun family room? How do you feel about decorating themes? How do you mix neutrals and colour? Do you have a video gamer at your house? 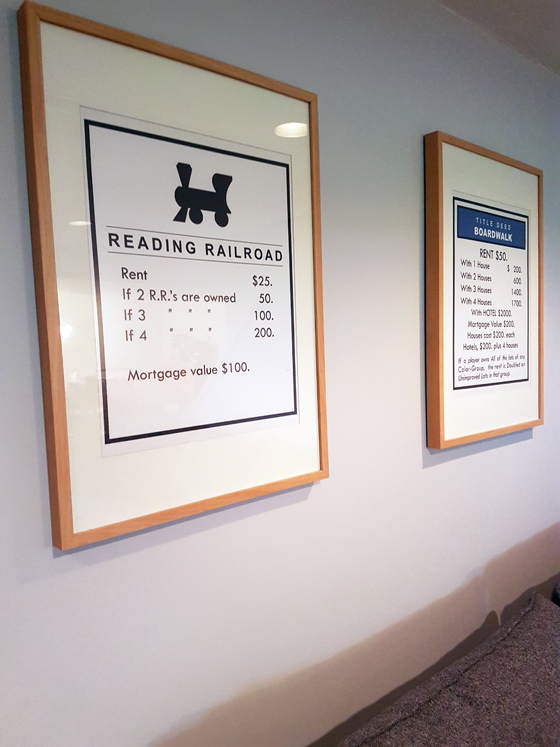 What are your favourite Monopoly properties? Alright. It’s officially time to start looking ahead. Time to share my Home Goals 2017. Unusually, I’ve not been thinking about these for the past few months. Some of them have solidified over the last few weeks–one of them even started just before the end of last year. Some of them came together just as I was writing this post. I think we’re getting to the stage where more things are done around the house–and the things that are yet to come are biggies. As in so big we’re not ready to tackle them yet (although I really, really, really want a garage). However, there’s still enough to keep us busy for another year. Here’s what’s on the list. Ahhh. My office. 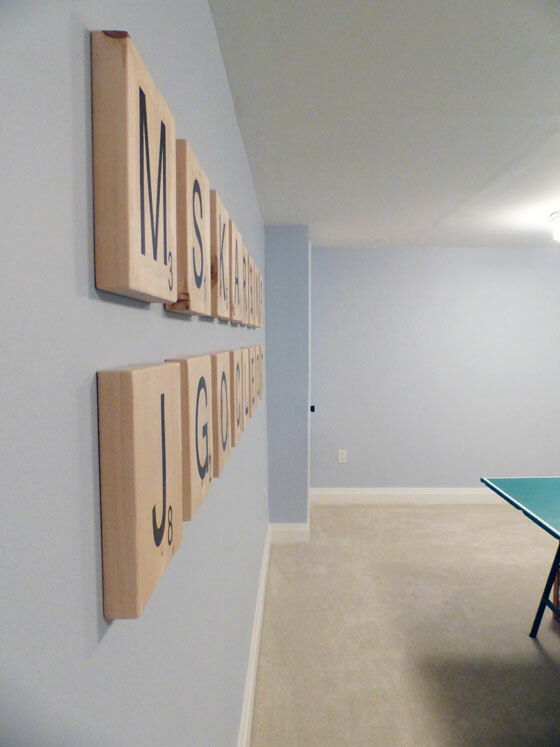 Finally a room of my own (thank you Virginia Woolf–not an affiliate link). I don’t know as I can convey the monumentalness of this project–except by making up words. 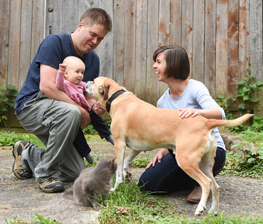 Five years ago we moved to the farm. Since that time, moving boxes have been stacked against the wall in my “office.” I want to unpack and truly have a functional office. Finishing off my office will finish off another milestone for the house: the final bedroom. The transformation is already underway. 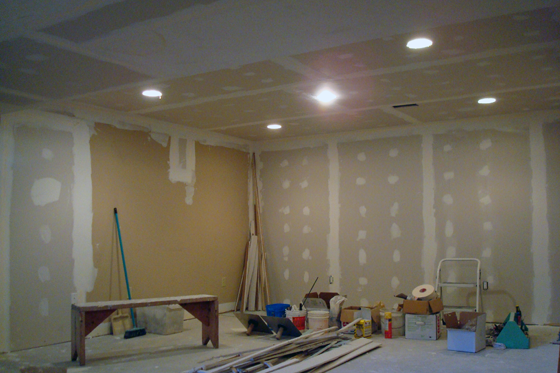 This is the project that Matt and I started right at the end of December–gotta keep up our holiday tradition of scraping a stippled ceiling. Property clean up has been on my list every year. And every year I end up working on whatever spot shows up in front of me. This year I want to be a little more plannful. This year, I am cleaning up the pond shore–how’s that for an emphatic statement. 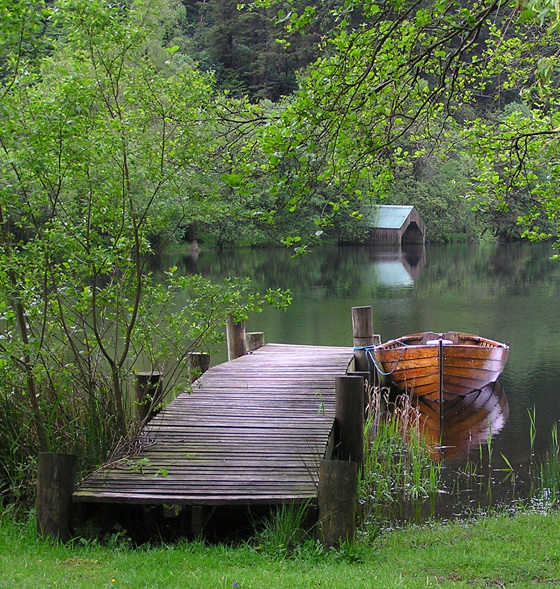 The pond is my favourite place on our whole 129 acres. And I haven’t been able to easily access the shore the whole time we’ve lived here. I’ve considered enlisting professional help, but I think if I put out a call, I should be able to find a few family members willing to wield chainsaws and weed eaters for a weekend. The vegetable garden was our major project last year, and as a result I feel like we’re in very good shape to start this year’s growing season. However, there are a few things I’d like to add this year, like rhubarb, a second row of berries (maybe raspberries, maybe something else) and maybe some more grapes. 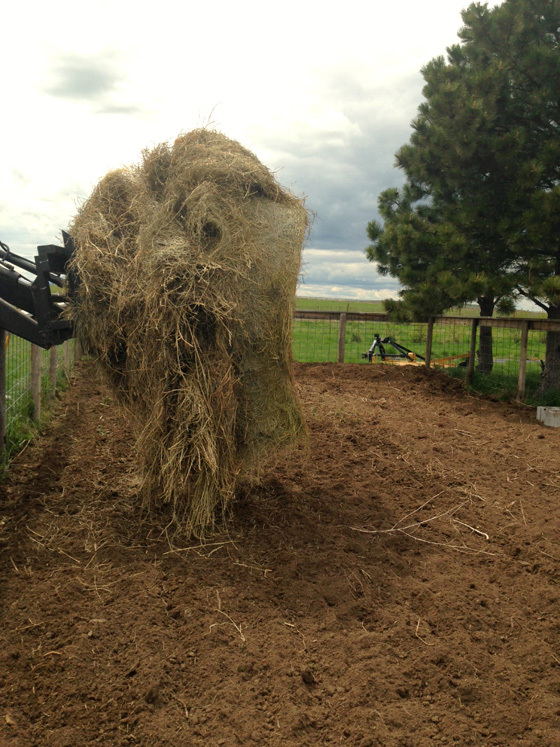 Most important, this year I am going to keep the weeds under control–another emphatic statement. I’m hoping a deep mulch will help me not spend my whole summer weeding. Last year our flower gardens were entirely neglected as the vegetable garden consumed all our time. This year I want to give them at least a little bit of attention. I’ve dumped plants randomly in two beds at the front of the house, and they need a bit of organization. I’d like to add some more shade tolerant flowers to the turnaround. 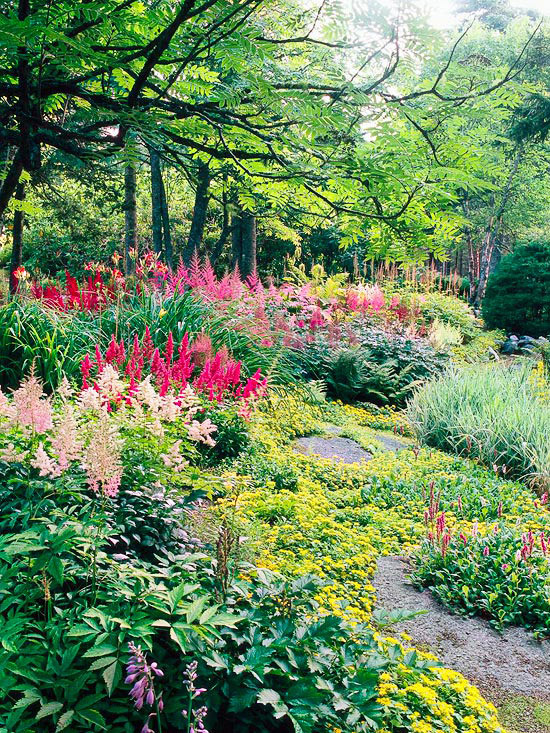 I’m also planning to remove the flowerbeds at the back of the house (there are only so many hours in a day, and mowing is easier than weeding). I’ve said it before. The basement has been hanging around long enough. This is the year we’re going to finish it once and for all–including fun art. This one may be more of a farm goal than a home goal. 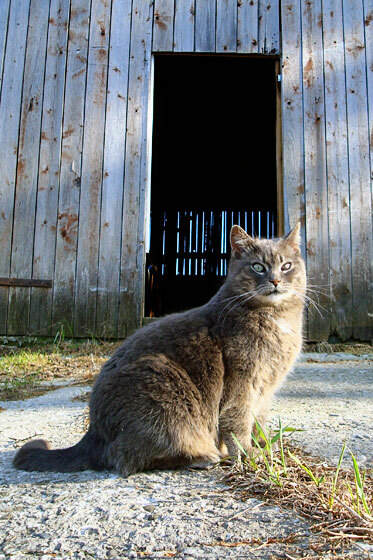 We have an outstanding barn cat in Ralph. So outstanding that we’d love for her to teach someone the wisdom of her ways. I’m not sure exactly how we’re going to go about finding her an apprentice, but we’re going to figure it out. So there you have it. Six goals. Two inside, three outside, one alive. Some big, some small, one with a tail. Some easy, some tedious, some furry. Do you have any goals for this year? What would you like to accomplish at your house? Any tips for introducing a new barn cat? Anyone want to help clear the shore at the pond? 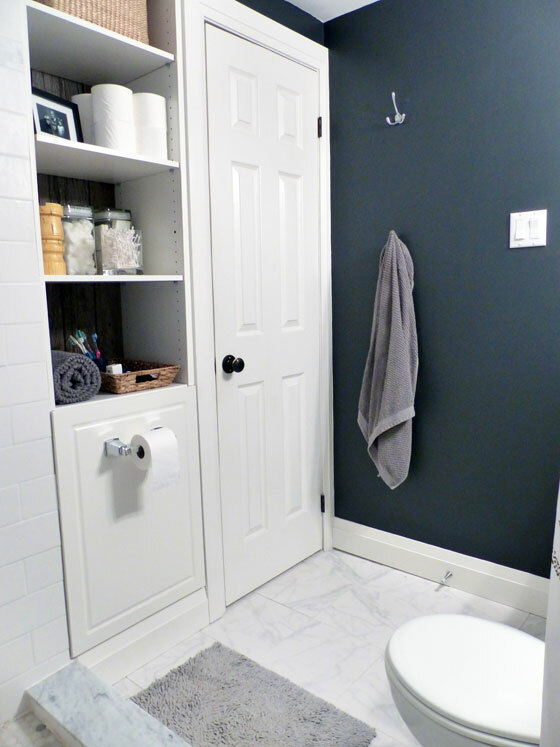 Today is about diving in to all of the details on our basement bathroom that you saw on Friday. 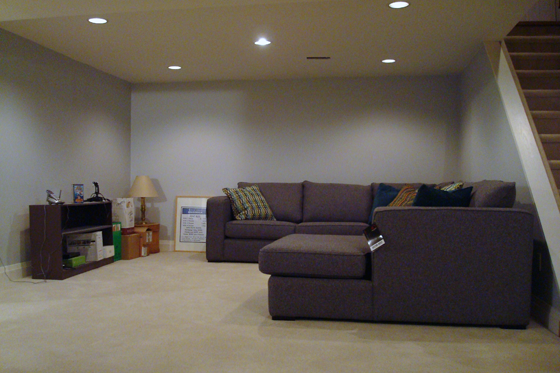 This is a small space–5 feet by 7 1/2 feet. But it makes a big statement, if I do say so myself. As you saw, what we started with was not great. We ripped everything out right back to the concrete. 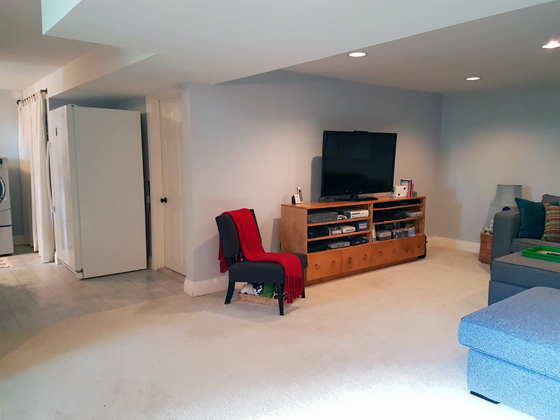 We reframed the walls, our plumber ran all new waterlines, our electrician fixed the unsafe wiring we uncovered, we had sprayfoam insulation added, and then we put up drywall and cement board. 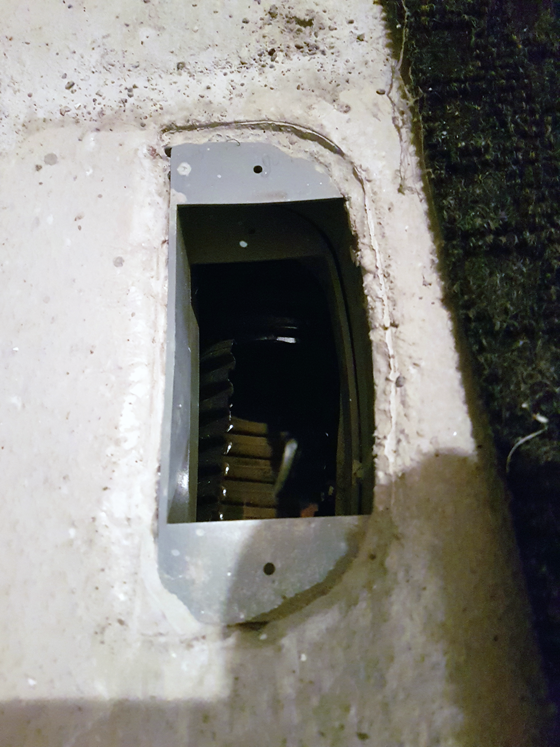 Along the way, Matt broke up the concrete floor so that we could reposition the shower drain and toilet (a lack of insulation in the original walls made them very thin. Once we reframed and reinsulated, we had to bump the toilet out from the wall by a few inches). We also flipped the plumbing in the shower so that the shower head was on an interior wall rather than the exterior one. And the other change was a small bump out into the hallway outside the bathroom. We have a very wide hallway leading to the laundry room–7 feet wide. 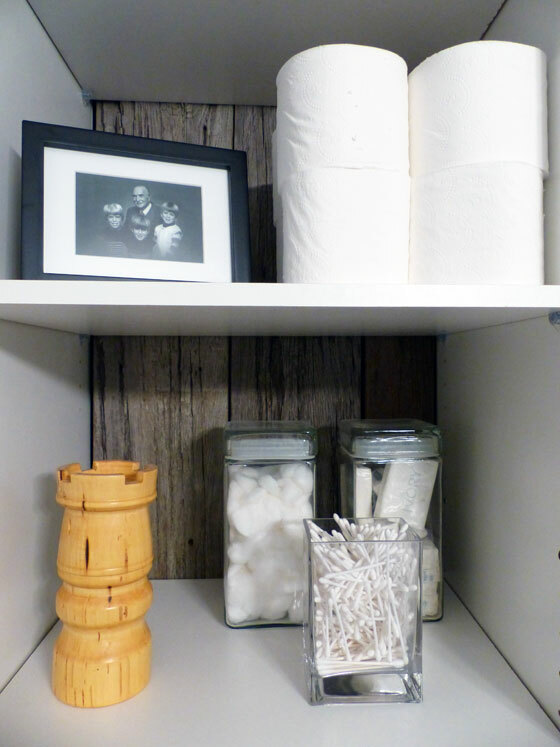 So we borrowed about 2 square feet of it to make a little storage nook in the bathroom. And here’s how the bumpout looks from outside the bathroom. 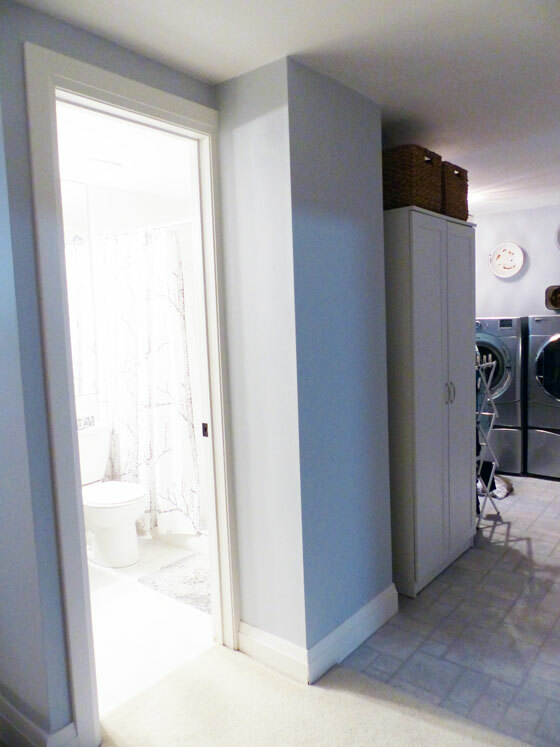 It’s not obtrusive and gives us a nook perfectly sized for a storage cabinet just outside the laundry room. 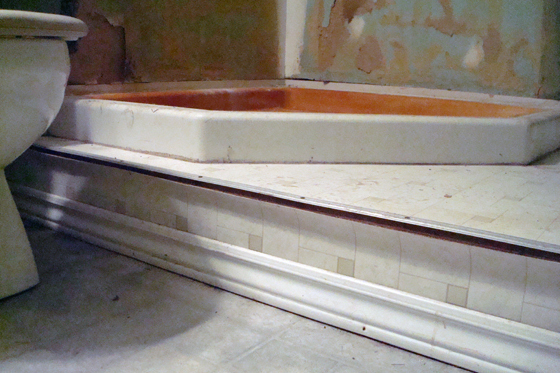 Let’s step inside and take a look at some of the details of our new basement bathroom. The shower is big (3 feet by 5 feet), beautiful (marble! white! clean!) and has a few special features that I’ve always wanted (the soap niche and bench). 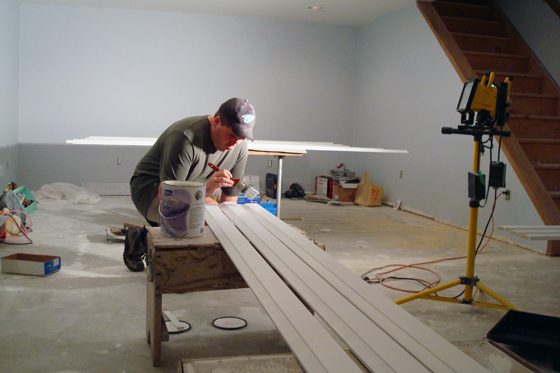 The main tile that we used is a 4 inch by 2 inch white subway tile–a bit bigger than the standard. It runs up half the wall behind the toilet and then floor to ceiling in the shower. 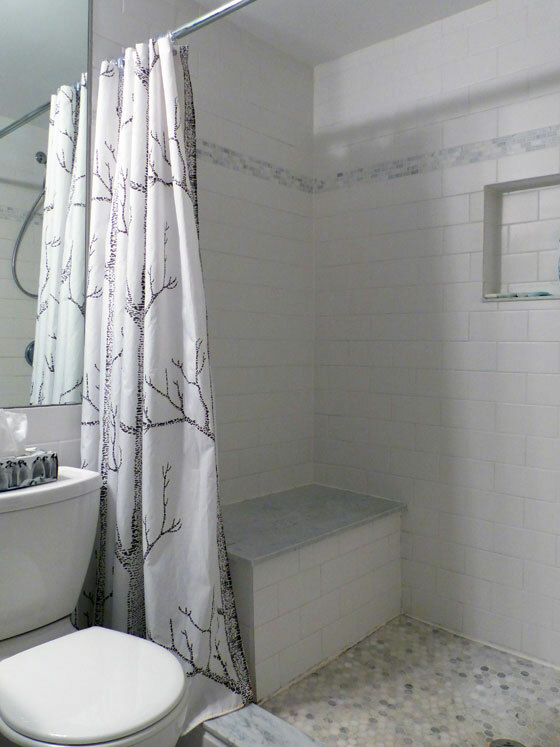 Inspired by Lindsay Stephenson and her beautiful DIY shower, I added an accent band of grey marble mosaic tile. The shower floor is also a grey marble mosaic of little hexagon tiles. The niche and the bench are two things I knew I wanted from the start. The niche is 12 inches wide by 15 inches tall and the bench is 32 inches wide by 16 inches deep by 18 inches high. On every horizontal surface, I used a solid piece of marble to protect against leaks. For the curb and the niche, we were able to find marble at Home Depot. For the bench, it took awhile, but we eventually found a remnant that was big enough for the top. It may sound funny, but the shower curtain is what pulls it all together for me. 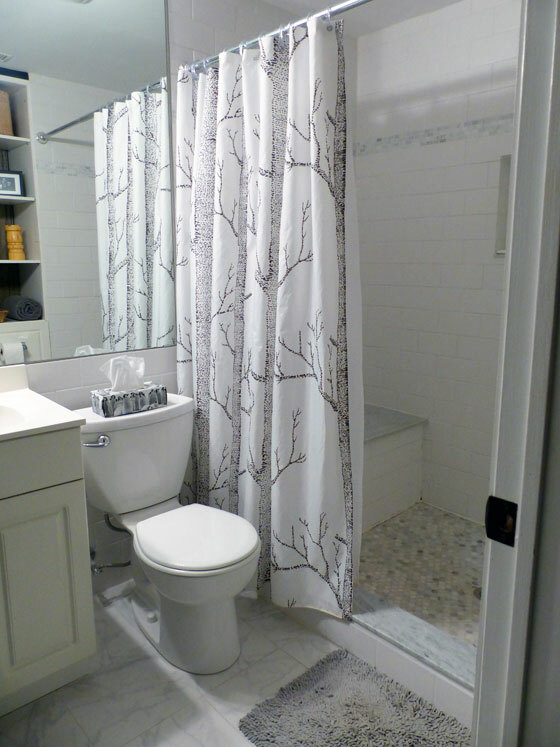 Early in the bathroom project, I fell in love with Cole & Son Woods wallpaper. 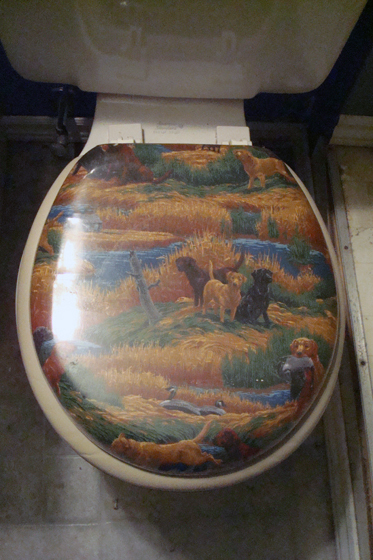 It was an organic pattern that would be a bit of a rustic element in the bathroom. Since moving to the farm, I’ve come to want to incorporate something rustic in all of my interiors. However the fabric version–like the paper–is way more $pendy than my budget. I considered all kinds of alternatives, but nothing panned out. 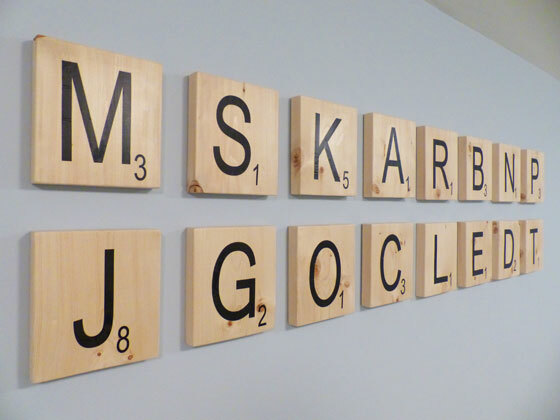 Then this summer Jen at Rambling Renovators posted about a Woods knock-off. And it was from a Canadian company and already made into a shower curtain. Before I finished reading her post, I had already placed my order. It’s perfect. Someday we might add a glass enclosure (there’s extra blocking in the wall to support glass), but that’s more money than we want to spend, and Matt’s satisfied with the curtain. As I mentioned in Friday’s post, we reused the original vanity and sink that were in the bathroom. We didn’t have a lot of space, and they fit perfectly, so there was no reason to reinvent the wheel. 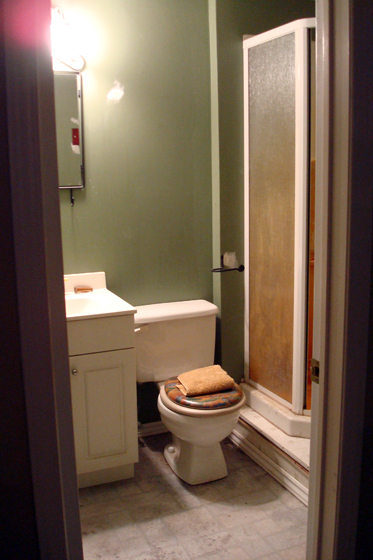 Looking at these photos, I see the finish of the vanity looks very creamy next to the white toilet and tile. However, in real life, it doesn’t bug me. 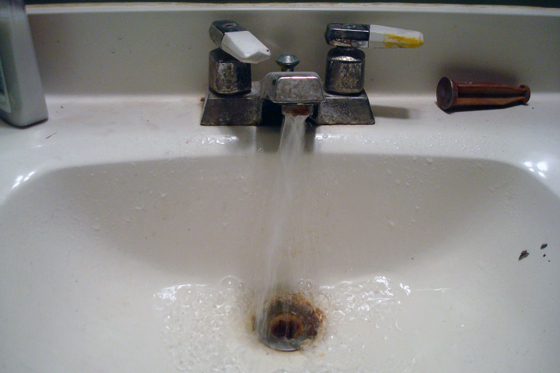 Matt selected the faucet, and his choice was driven purely by budget. If it had been up to me, I would have chosen something square, like the towel holder and light fixture, which I picked. However, in hindsight that might have ended up being a bit too many squares. 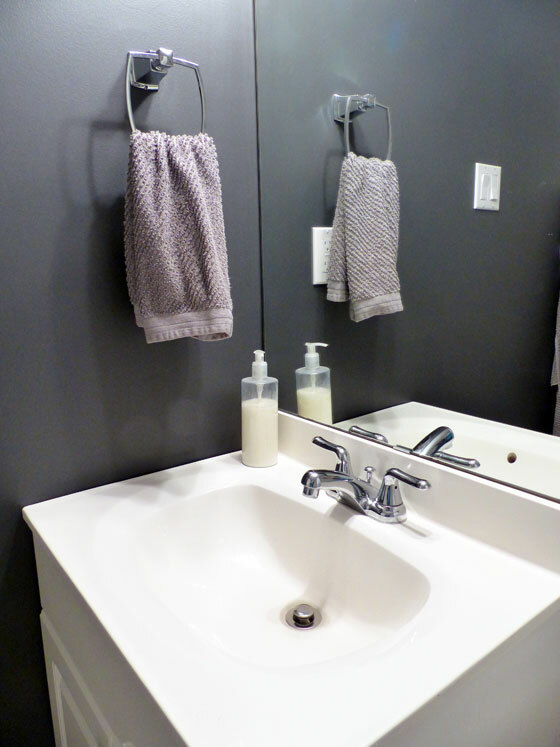 The faucet matches the hooks that we chose and the variety of shapes work well. There were two things I wasn’t sure about in this bathroom: the black paint and the huge mirror. In a small room, I was worried the black would be too much. But it’s only one wall, so the black doesn’t overwhelm the small space (it’s Wrought Iron by Benjamin Moore). 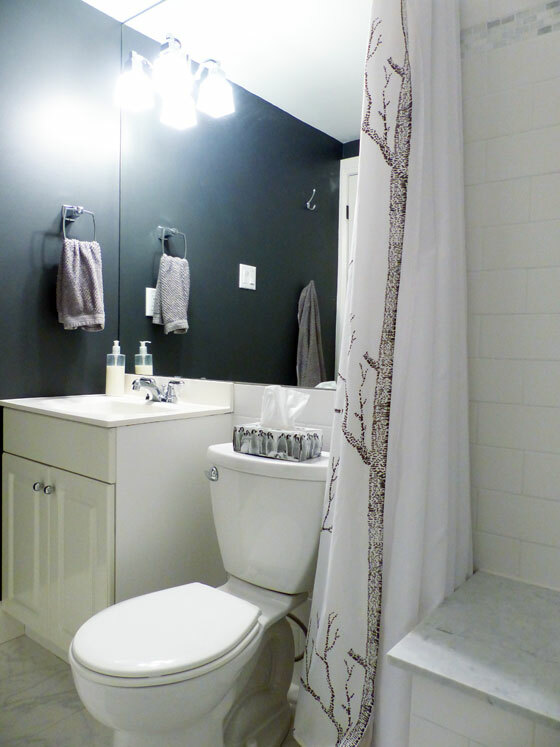 The contrast with the white tile and fixtures is dramatic. In a small room, a big mirror is a no-brainer. But sheet mirrors like this aren’t exactly in style anymore. 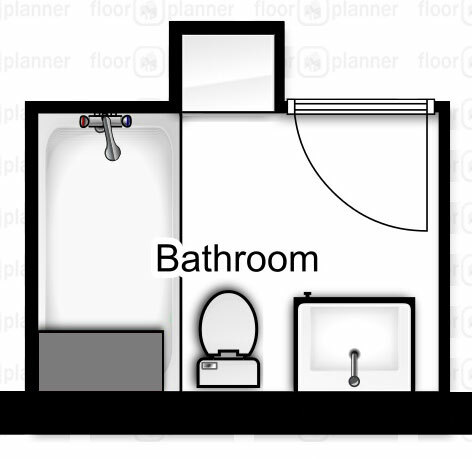 Running it from the corner right over to the shower and from the vanity up to the ceiling modernizes it a bit. 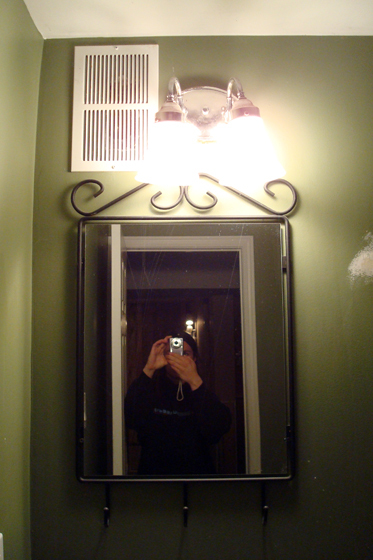 Installing the light fixture on top of the mirror also modernizes it–although the process of measuring and hanging this mirror was nerve-wracking. But the mirror does its job of doubling the light and appearing to double the size of the room. With limited wall space, we didn’t have a lot of room for towel bars. 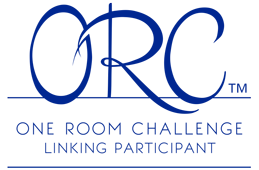 Two hooks behind the door–each with three individual hooks–give Matt space for his bath towel and clothes–although pants still end up on the chair in the family room outside the door. Argh. Even if the hooks don’t work quite like I intended for storage, the built-in works very well. 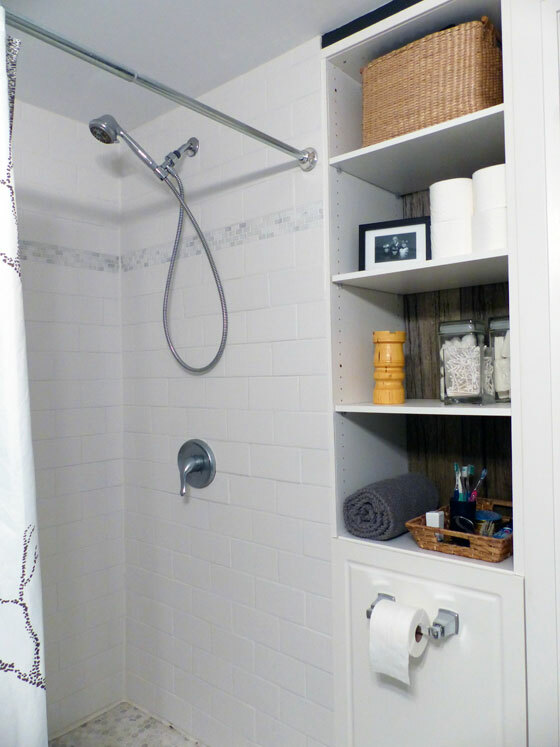 The closed cabinet on the lower part hides the less decorative things in the bathroom. Plus the cabinet door that I found at the Habitat Restore is a perfect match for the doors on the vanity. 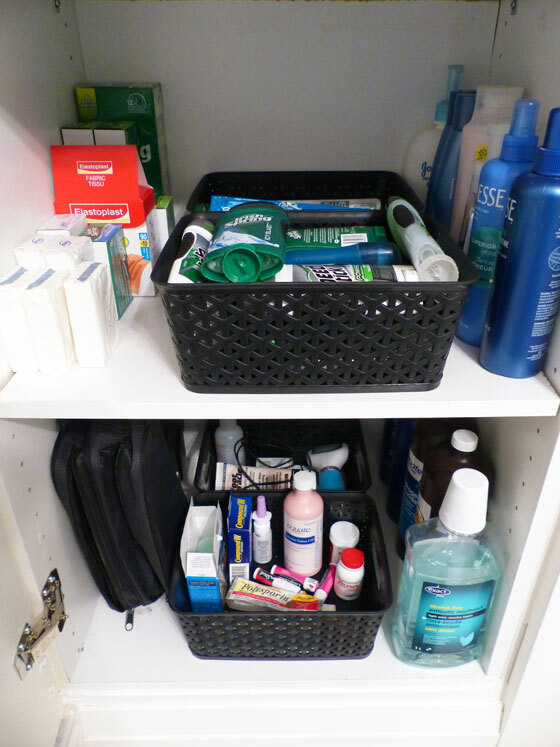 Originally, I’d planned to build a drawer inside the cabinet, but some dollar store baskets are much simpler and work just as well to organize Matt’s toiletries. The guy’s deodorant collection is ridiculous. The upper part of the shelves gives more storage and a spot to decorate, which makes me happy. 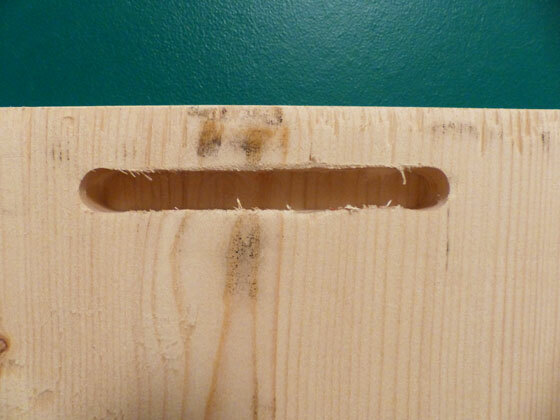 The back of the open shelves is lined with barnboard–that I actually went out and cut off the side of the driveshed. It’s another rustic touch that I love so much. This might be a stretch for anyone except me, but I had a loose chess theme in mind when I conceptualized this bathroom. We have kind of a fun and games thing happening in the rest of the basement. Matt’s game–although I’m not sure you can really call it a game the way he plays–is chess. When I thought about going black and white for the bathroom, I thought of a chess board. That also led me to incorporate a photo of Matt’s grandpa, who was an avid chess player. And to ask my Dad to make a large rook–Matt’s favourite chess piece–on his wood lathe. (Beware, any time you play with Matt, he will always castle his rook and king). 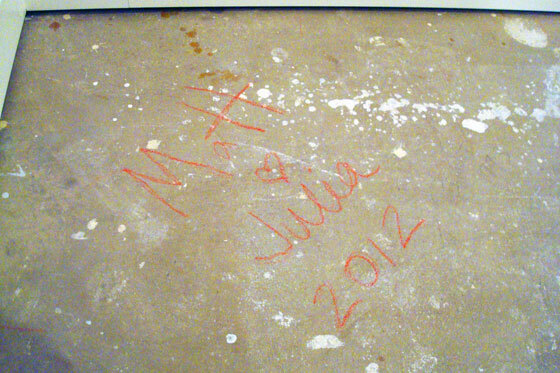 For all of the time that Matt and I have shared a house, we have not shared a bathroom (aside from the short time span when this bath was under construction). So this room is all about him. Happily, the finished product is something that works for both of us. This post has been a long time coming. Loooooooong. 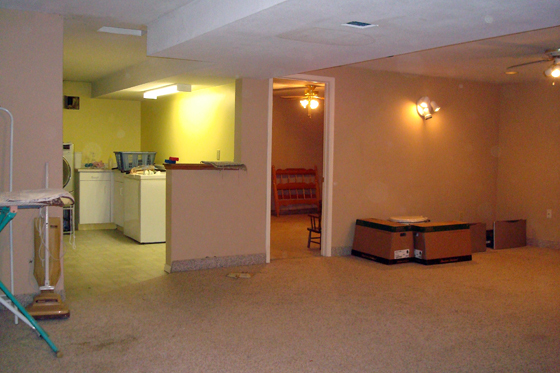 I first posted befores of the basement bathroom on April 12, 2012. We had owned the farm for a month. We have now owned the farm for 56 months. That’s four years and eight months. And we’ve finally finished the bathroom. It’s been pretty much done for most of those 56 months. Matt’s been using it quite happily. However, I had three pieces of trim to install, one cabinet door to rehang and I still hadn’t found the perfect shower curtain. Those niggly finishing details that dog you for four years. Ugh. The perfect shower curtain was found this summer when Jen at Rambling Renovators posted her mood board for a modern farmhouse bathroom. That was the impetus to finally finish the rest of the bathroom. 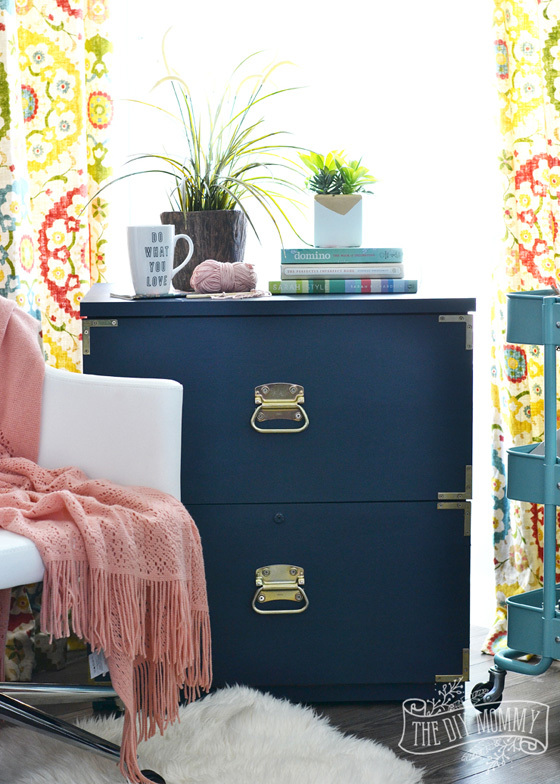 Are you ready for our most dramatic before and after yet? Who am I kidding? This isn’t the most dramatic before and after yet. This is the most dramatic before and after we’re going to have at the farm. 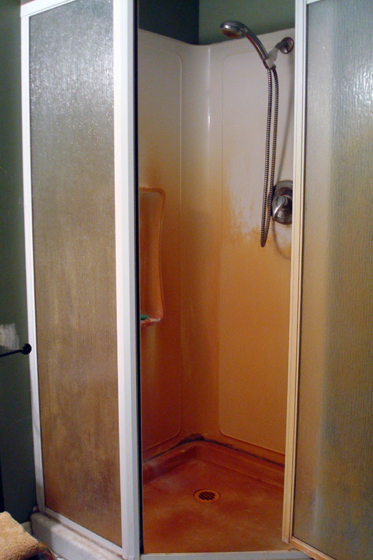 We called this the psycho shower. It was tiny, orange, and for some reason built up on a platform. Everything was just all around gross. But no more. This is definitely not a psycho shower. Gross was also the theme for the sink and vanity. But with a good cleaning and a new faucet, they were redeemed. Above the sink we started with a small mirror, an off centre light and a random vent. If I’m recalling correctly, I think the vent was an access panel for either plumbing or electrical. It was not actually acting as a vent. After reframing and reinsulating the whole exterior wall, we held our breath and hung a huge mirror. The light fixture, which is centred over the vanity, sits on top of the mirror. 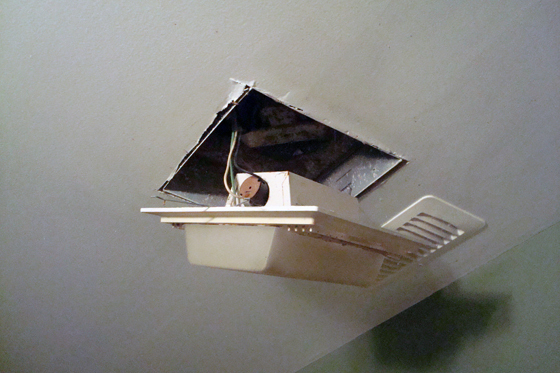 Along the way we fixed our exhaust fan issues, including evicting the snake my Dad discovered in the vent. Disposed of the old toilet including its cushy illustrated toilet seat. And added all kinds of storage by bumping out a small shelving area. Aside from the bumpout, we kept the layout the same. 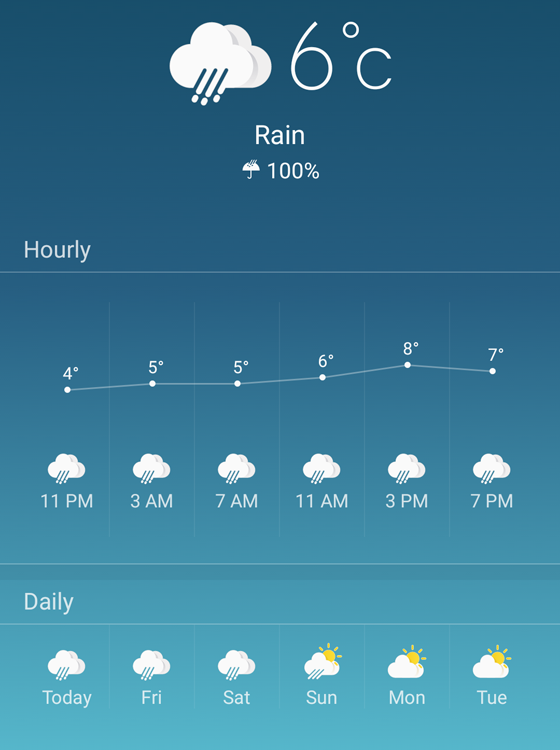 But what a change. Looking back at those before pictures I can’t believe we bought this house. 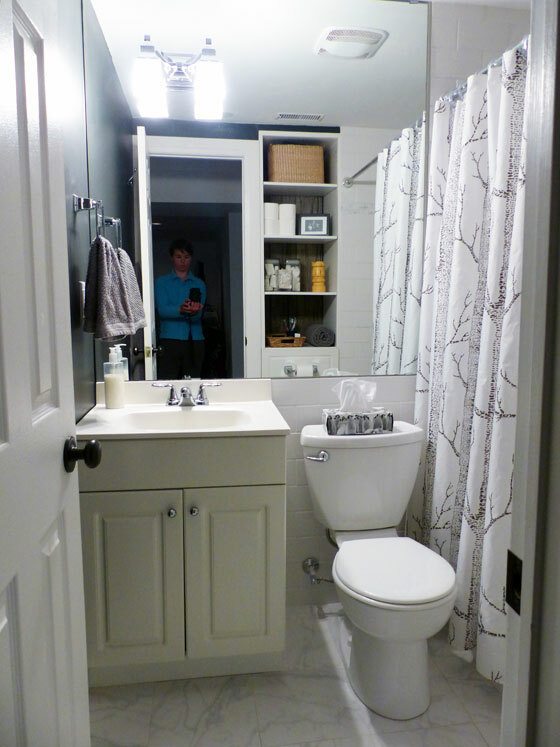 I’m so proud of what we were able to do with this bathroom, though. This was a huge DIY for us, and really pushed us–tiling that shower was a daunting task that still has me questioning whether I ever will tile again. The design was a stretch for me too. Four years ago, dark colours weren’t as popular as they are now. 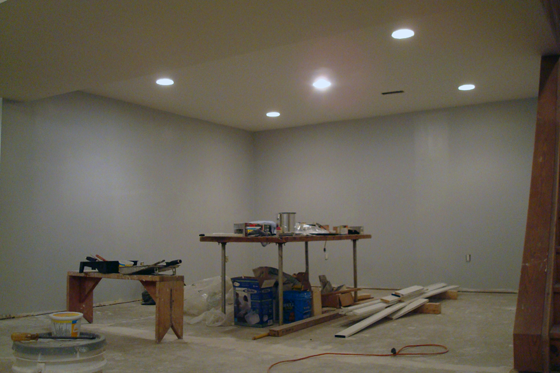 Taking the plunge to paint a small windowless room black was a bit daunting. I love the black and white design so much and how it and all of the other little touches came together. I’ll be back soon to share all of the details on this little bathroom. Is there anything you’d like to know more about? Feel free to leave a comment, and I’ll do my best to answer it in the next post.